JNN 03 July 2015 Dubai : The United Arab Emirates is to try 41 people for allegedly Planning to overthrow the government to set up an “Islamic State” group-style “caliphate” in the Persian Gulf state, prosecutors said Sunday. Such mass trials on terrorism charges are rare in the UAE which has largely been spared the “Islamic militancy” that has hit other Arab states. The suspects, who include Emiratis as well as foreigners, are accused of setting up a group “with a terrorist takfiri Wahabi ideology,” in a bid to “seize power and establish a caliphate,” the prosecutor general said. They will be tried in the country’s highest court, the Federal Supreme Court. 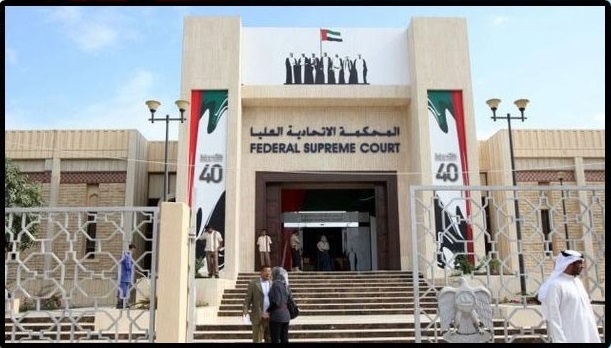 The 41 who are to stand trial planned to “carry out terrorism activity inside the U.A.E.,” WAM quoted Attorney General Salem Saeed Kubeish as saying. Their aim was “undermining the state’s authority and building a so-called caliphate state,” he said. Kubeish said the group had acquired arms, ammunition and explosive materials, and made contact with terrorist groups outside the country. The group sent recruits to training camps to teach them to use arms and explosives, he said. The UAE is part of the US-led coalition that has been carrying out air strikes against ISIS in Syria since September last year and has stepped Up security measures since the wave of “Arab Spring” protests that swept the region four years ago. The U.A.E. has been clamping down on political Islam and radical groups. In July, it executed a citizen convicted of killing an American schoolteacher at an Abu Dhabi mall. Last year, it put nine people on trial on charges of setting up an al-Qaeda cell, planning to bomb U.A.E. landmarks, sending funds to al-Qaeda affiliated Jabhat al-Nusra group and trying to recruit Emiratis, The National newspaper reported. At the same time UAE Monarchy is involved in funding Wahabi terrorists in some countries in the region, Including Pakistan and Afghanistan . UAE forces are also bombing Innocent and Unarmed Yemen Civilians, as they are also the Part and Parcel of the Saudi Aggression , which have caused a caused a humanitarian crisis in Yemen. Wahabi Takfiri Believe that who ever do not follow their Ideology Is an Infidel and is Liable to be Killed . It should also be noted here that The Major Terrorist Organisations working and Destabilizing the Peace of the World are the followers of the same Wahabi Ideology , which is even followed By ISIS , Boko Haram , Taliban , Al Shabab , as well as of Al-Qaeda . Human rights groups have raised concerns that the jail terms is intended to stamp down on even peaceful dissent. Like neighboring Saudi Arabia, the UAE regards the Muslim Brotherhood, the party of ousted Egyptian president Mohamed Morsi, as a terrorist organization. The Emirates remains a key Western ally in the fight against ISIS on the face , while Under cover they are also the Parners in crime with Saudi Arabia , US , and Britain , and is a Key financier of ISIS . The ISIS group, which controls areas of Iraq and Syria, has carried out a series of attacks in the Persian Gulf countries, including bombings of Shiite mosques in both Saudi Arabia and Kuwait. This entry was posted in Middle East and tagged Caliphate, Emirates, IS, ISIS, Persian Gulf, Saudi Arabia, terrorism charges, U.A.E, UAE, United Arab Emirates. Bookmark the permalink.